Disc # 1- The Vault of Membros demo. For the 1st time on CD format, as well as the vinyl releases – The Manifestation Ep , split Ep with Winterwolf and the split Ep with Convulse. Necroharmonic and Disma have a long time friendship that goes back to around 1986-1987. 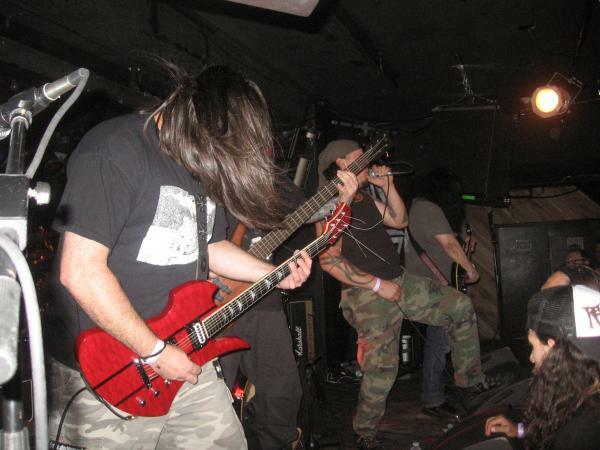 Guitarist Bill Venner was from the home town of Necroharmonic founder ( Kearny, New Jersey ), and accomplice in metal demo collecting and fanzine hoarding. In 1988-1989 Roy Fox and Bill Venner attended shows together many times at Studio One seeing bands like Revenant , Torment and New York bands like Immolation. In 1990 After some letter writing John McEntee told us he started a new band called INCANTATION , and had a gig planned with MORTICIAN , and SNAG . The Kearny Death Crew went to the show in full force never even hearing Incantation at that point….The sickness of Mortician was mind blowing tuned down and BRUTAL ! Incantation followed up with a set with original members who played on the Demo 1990. A riot broke out outside after an insane homeless person got stupid with Mortician’s crew SPRING VALLEY DEATH CREW …which later morphed into NYDM. The Kearny crew split the scene after seeing the street being taped off and a squad of riot police uniforms moving in…. ! After the gig I sent a snail mail letter to McEntee to find out about more shows , and he mentioned was seeking a guitar player. I had suggested Bill Venner and later he learned some guitar structures in my grandmother’s basement . In 1990 Bill joined as second guitarist of Incantation , playing gigs with them at famed G Willikers and in Rhode Island. 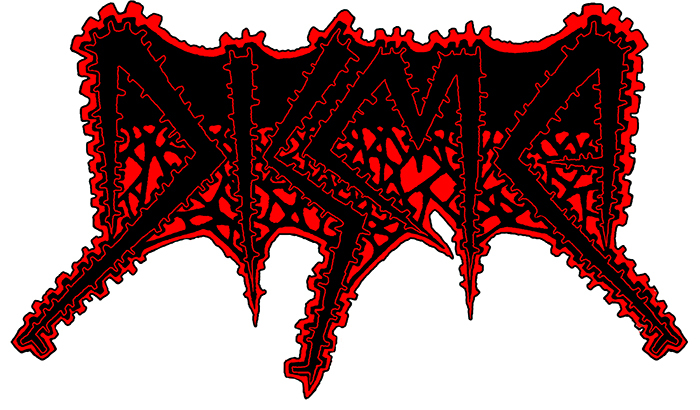 Bill was also the artist who drew up the logo of Incantation which is still used today over 25 years later. Bill left the band the same year to play more tuned down metal. 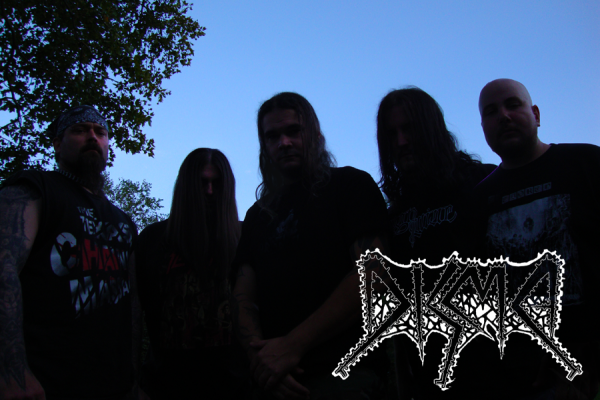 Fast forward a year later Craig Pillard replaced Will Rahmer as Incantation’s vocalist. making their most classic albums including ” Onward to Golgotha ” in 1991 / 1992 and ” Mortal Throne of Nazarene ” 1993 / 1994 ( as well as ” Upon the Throne of Apocalypse ” release. 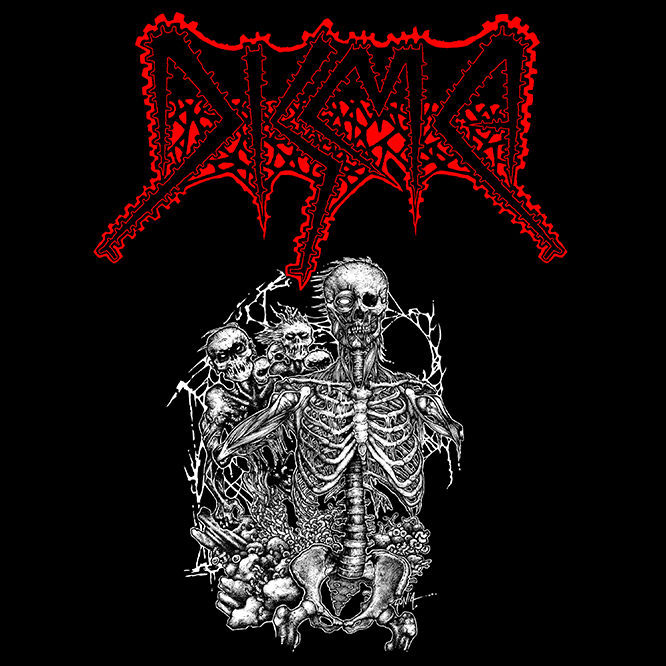 Disma was formulated after years of hanging around together within the hellhouse of FUNEBRARUM / ELEGY records. Necroharmonic released the 7″ ep vinyl ” THE MANIFESTATION ” and helped acquire artist OLA LARSSON for the cover art. Ola later went on to create the amazing cover art for the DISMA debut album ” TOWARDS THE MEGALITH ” . So here we have a collection of all the early DISMA material , some for the 1st time on CD format. The CD release was split into two parts , Disc 1 with the studio records tracks , and Disc 2 with a Live performance from the radio, which showcased they could do it live with no overdubs .